I discovered some really amazing bottles of Tempranillo while working on this article. I think it’s really cool to study a grape this way, and see how variations in climate, viticulture, and oaking practices can produce radically different versions of the same varietal. It also sounds like some really interesting, political changes are at work right now in the Spanish wine industry, something I plan to keep my eye on! Check out my article on Eater here. Happy weekend, all! One of my fondest memories of graduate school is hanging out at Spain, a super old-school restaurant on W 13th Street where about five bucks gets you a glass of the house red, plus plates of tapas, like greasy meatballs and potato chips, served by grumpy old Spanish men in suspenders. It was charming, and I didn’t care what kind of juice I was drinking back then – but the good news is that it’s now possible to enjoy updated, sophisticated Spanish cuisine alongside elegant, easy-drinking wines that don’t destroy your mouth with tannins. I wrote on Saveur.com about the new generation of Spanish winemakers who are producing low-sulfur, less extracted beauties made with indigenous varieties. 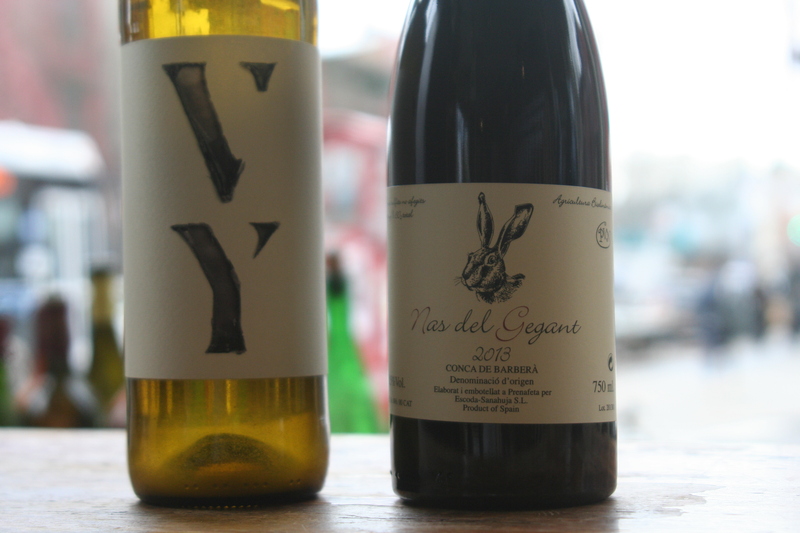 Look for these five producers at your local natural wine shop!